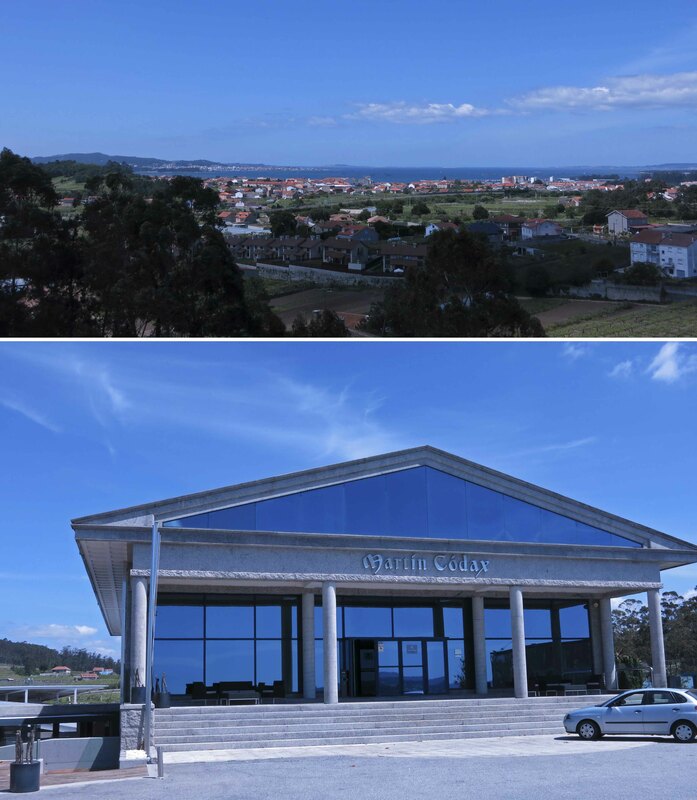 … my friends of Vinoscopio and I left Cacabelos and headed to La Coruña to visit Martín Codax (D.O. Rías Baixas, Spain). Despite it’s relatively recent founding (1986), it is already the biggest wine cooperative in Galicia, with 270 members and 300 other families involved in the business. 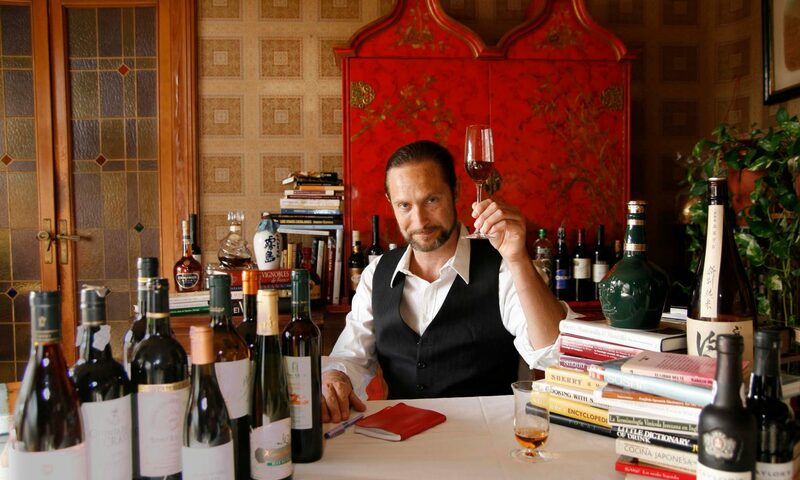 An aside before continuing with the Martín Codax story: The common perception people have about wine cooperatives in Spain is quite different from the one they have in Italy. In Puccini’s and Verdi’s country, some of the most consistent wines are produced by cooperatives and they hit the market with labels like IGT (Indicazione Geografica Tipica, that could be translated in something like “Specific Geographical Denomination”) or Vino da Tavola (Table wine), just to free themselves from the strict regulations imposed by the various Denominations of Origin. On the other hand, the perception of cooperatives here in Spain is quite different. It is known, of course, that some of them produce very good wine, but usually the more highly regarded wines are under the Denomination of Origin system and, in contrast to Italy, Spanish cooperatives tend to be associated with massive production and, let’s say, less quality. This assumption is not applicable to Martín Codax. This company is not only big in production, but high in quality too. We had the chance to have a look at their experimental vineyards and the systems they use to ensure the production of good wines and to promote cycles of continuous improvement. Mr. Miguel Tubio, Director of viticulture, and the oenologist Mr. Luciano Amoedo guided us through the whole process, from the vineyard to the bottled wine. As a result of this visit, I came to know not only the high standards Martín Codax follows in every single production stage, but arrived at a deeper understanding about all the white wines produced at the D.O. Rías Baixas, e.g. how to differentiate among wines produced in Salnés from others from Rosal or Condado; what Xabre soil (sand) means; or how the cooperative system works, and how they manage ownership of the vineyards (some of them based on very ancient regulations, as the one about Monte Comunal). We tasted several wines and we ended the wine tasting with some samples –directly from the tank- of the Martín Codax Gallaecia, a very interesting and extraodinary wine made of Albariño… with a high percentage of noble rot! In short: they have very good white wines of the Albariño variety, that display good acidity and different aromas depending on the vineyard of origin. All of them pair wonderfully with seafood and fish! It’s no mistake that the traditional food pairing of Galician seafood and fish is with these wines made of Albariño. One final tip: try grilled common cockles with Martín Codax Lías; or boiled barnacles with Martín Codax.